On this occasion 55009 has assisted 45073 into York. 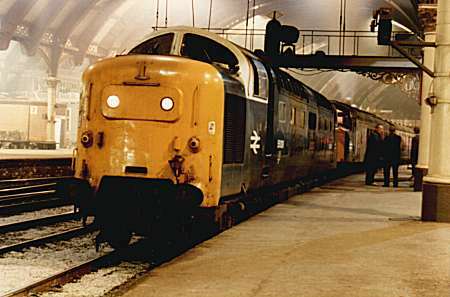 The pair are seen at 03:16 on 11th April 1981. 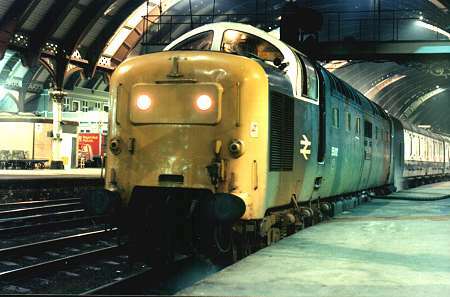 Having just replaced 55007, 55010 awaits departure from York on 7th march 1981. 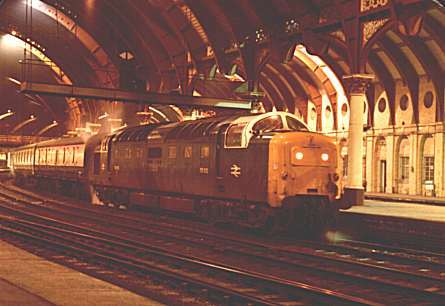 The DMU to the right is E50583 whilst the front two vehicles behind number 10 are 81414 and Mark 1 sleeper 2090. Note the locomotive has lost it's nameplate from the side in view. 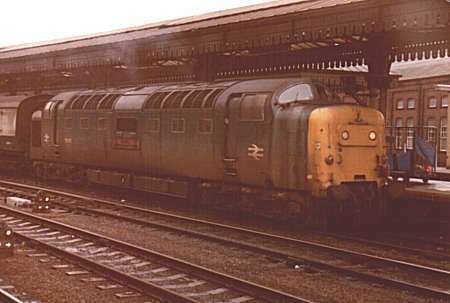 55011 presents quite a sorry sight at York on 7th March 1981. 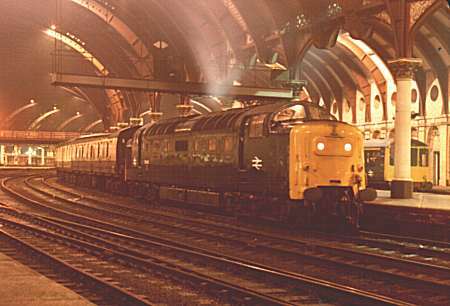 55012 at York with the down "Night Aberdonian" of 6th March 1981. 55012 again from the opposite side, the leading vehicles are 80758 and Mark 1 sleeper 2076. The time is 23:15 on 6th March 1981.